The time has come for me to answer your questions. A little over a week ago, I asked you all for questions for a 75 follower Q&A. I was very happy with the response. In total, 6 bloggers asked 23 questions. Wow, thank you all so much! A few of you asked, “What is your favorite book?” I do not have one favorite book, so for each time this is asked, I shall answer with a different favorite. I really enjoy reading and re-reading Finding Serendipity By Angelica Banks. I really relate to Randi Rhodes in Randi Rhodes Ninja Detective (Great read BTW) partly because of looks, and partly because of her personality. If you could start a third blog, what would it be about? I’d probably start an inspirational blog, maybe a blog about my faith. That actually sounds like a pretty good idea. We’ll see guys…. What is your favorite thing to do besides blogging? I know that I’d like to have two jobs. One of them is an author (Of course), but I haven’t made a decision on the second one yet. I think you’re getting us mixed up. 😉 I definitely look up to people like Taylor Swift. What’s your favorite type of cereal? I really like Oatmeal Squares. What is your all-time favorite fictional book? 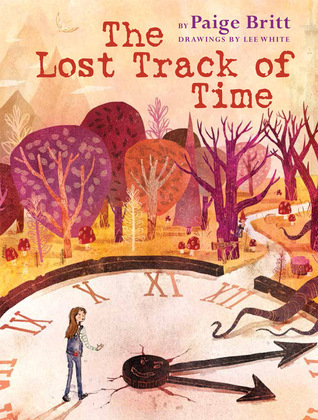 The Lost Track of Time By Paige Britt. I would love to meet Nicola Yoon because Everything, Everything is seriously amazing. I think that it would be so cool to talk to her about her books. As I said above, I would start an inspirational blog. I’m very proud of the fact that I wrote two novels last year! When I was a few years old, I went to Disney World. I have a few snippets of memory from that. Pigs and guinea pigs. How can you not love them? How does one answer this question? I like how she hasn’t lost her ability to create relatable lyrics. Also, I like how many different lyrics there are. In this era of music, most popular songs are the same sentence over and over again. I really miss getting to hear her play guitar and the country theme she had. I also liked her better with long hair. I really like farfalle because they are shaped like little bows! 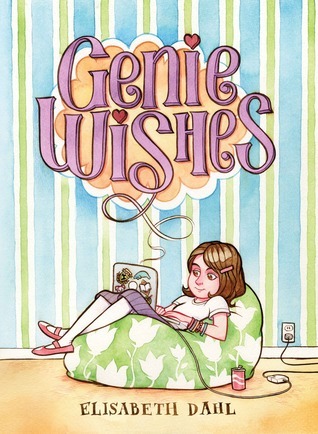 Genie Wishes by Elisabeth Dahl. This is more of a riddle, but I’ll say it anyway. What do you get when you put together a pig and a bush? Why the name, winged dogs? 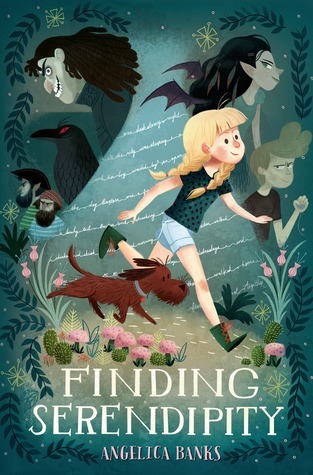 If you’d like the whole story, it’s on my ‘About Blog’ page, but basically, I was reading this fantasy book (Blueberry Pancakes Forever), and they talked about winged dogs. Apparently, the collective noun for a group of winged dogs is ‘a purpose’, and I thought that was really cool and made that my blog name. Make a pun out of your name. I got a little bit of help on this one. If I ever “burn” someone, I can shout, “You just got Rose-ted!” Get it? I do! I like to paint with watercolors, and I draw sometimes. That’s the last of them! Thank you to everyone who asked questions, and to Rebekah, who talked about this Q&A on her blog! What would you say to Taylor Swift? Should I start that third blog *wink wink*? No problem! I’m definitely considering it! This was fun to read! I would love to see more Q&A posts! Thank you, Bella! I’m hoping to do another Q&A soon! YES!!! START A THIRD BLOG!!! All those books sound awesome, I’ll have to read them sometime 🙂 Fearless is my favorite album too, I got it for my 6th birthday I think? And I still have it! If I could say something to Taylor Swift I would say, “Oh my gosh! You’re you! I, uh, well……….. Heheheh…… Hi?” LOL that would go well XD awesome job Rose! Okay! You really need to read them! I think that I would also say that. Okay! Don’t worry about it! There will definitely be another one! Thank you! I have not read the Sun Is Also A Star yet. Very cool about you being a pun enthusiast, I like puns as well!